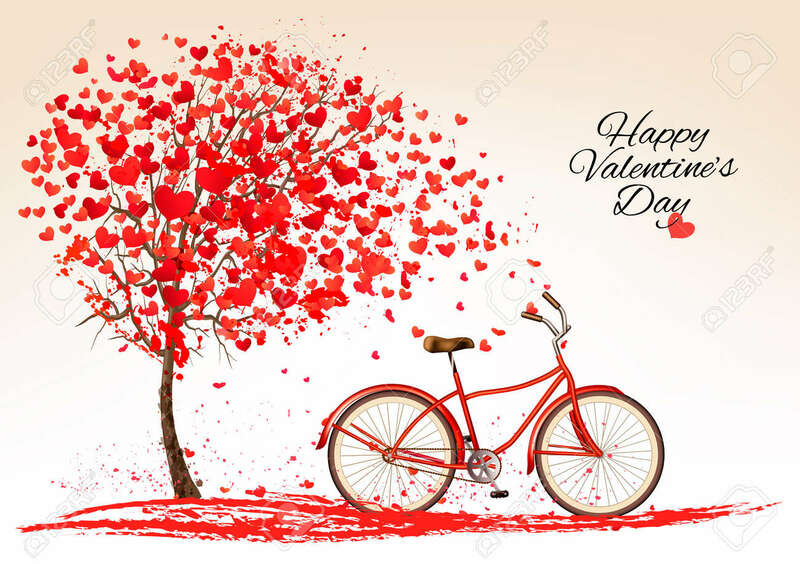 Valentine's Day Background With A Bike And A Tree Made Out Of.. Royalty Free Cliparts, Vectors, And Stock Illustration. Image 51833269. Vector - Valentine's day background with a bike and a tree made out of hearts. Vector. Valentine's day background with a bike and a tree made out of hearts. Vector.